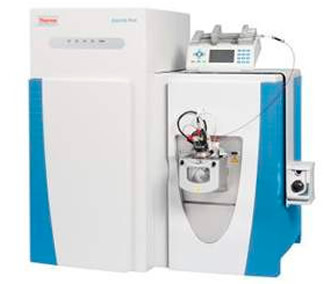 Thermo Scientific Exactive Plus Mass spectrometer is the ultimate screening machine for confident identification and quantification of compounds in complex samples. This benchtop LC-MS system delivers high resolution, accurate mass data and fast scanning capabilities to increase both confidence and throughput. The Exactive Plus Mass Spectrometer is an easy-to-use benchtop system combining premium performance with a simple, intuitive interface in an LC-MS system that is smaller, faster and affordable for virtually any lab.